Hard to believe summer’s almost over! And so is our summer Bible study! 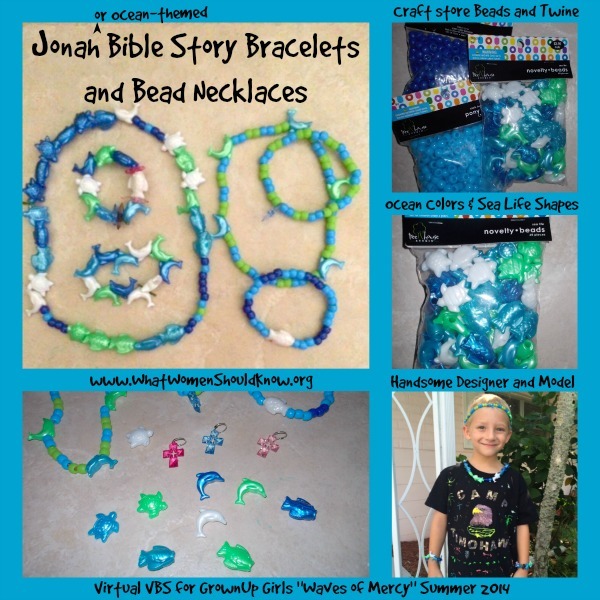 I was looking for some fun crafts we could do to commemorate our time here at Virtual VBS for GrownUp Girls and celebrate the things we’ve learned. I had my little nephews help me do a kid-friendly version with supplies that are available at any craft store for under $10.00. Then I found a way to create a more grownup version. 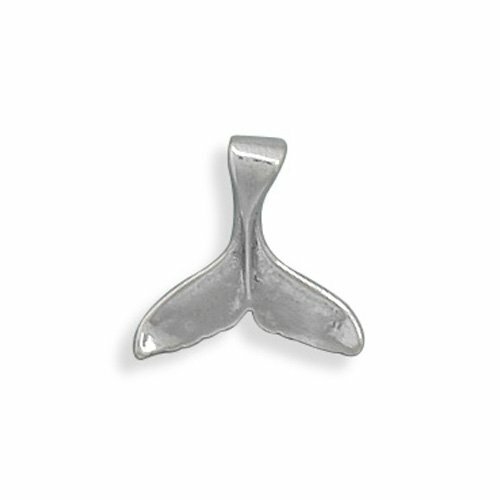 For the grownup version, I searched Etsy and Amazon and found dozens of whale tail charms that you can buy for a few dollars a piece — most between $4-14. You could add a few colored beads or some other charms — a cross, a ship, a seashell. 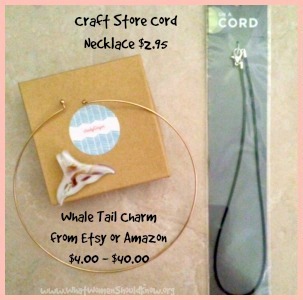 Slip them on a chain you already own, or pick up a simple cord necklace at the craft store. My favorite charm was the pink and purple sparkly ceramic whale tail that I found on Etsy for $9. (I bought the last one they had… I’ve since found more on this jewelry-making site.) Whenever I wear it, I’ll think of this summer and our time together! Create a collage by gluing simple shapes cut from different scrapbooking papers — shown here — or different fabrics. (You could also sew or quilt them.) Add glitter or ribbon or other special touches — and frame it or hang it on the fridge! One day I’d like to try something like this with stained glass or pottery shards or mosaic stones. 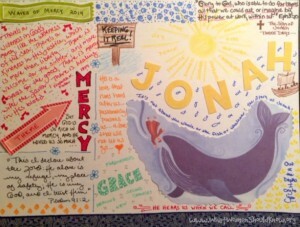 Even if you’re not an artist, try experimenting with “art journaling.” Copy specific words or phrases or Scripture verses you want to remember onto a blank page. Use different colored pens or pencils. Add little flourishes and illustrations, stickers, scrapbook odds and ends, pictures printed off the computer or pieces torn out of magazines. 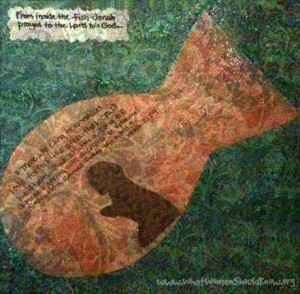 For this piece, I copied and cut out an image of Jonah and the fish from a Bible story book. I used some scrapbook supplies: the punch-out letters for Jonah’s name, the red arrow and the green banner and the navy tapestry ribbon border across the bottom. Everything else I drew with different pens and markers and colored pencils. I collect all kinds of art journaling ideas and craft project ideas on Pinterest, so if you need more inspiration, come visit me here! One last thing: I hope you’ve enjoyed this summer’s Virtual VBS as much as I have… this was our second year. (Last year we did the Gospel of John). Do you think we should do it again? Any ideas or suggestions to make it even better? Any special requests — books of the Bible or themes? I’d love to hear from you!